Above: Hall courts on which the fake cards are based. 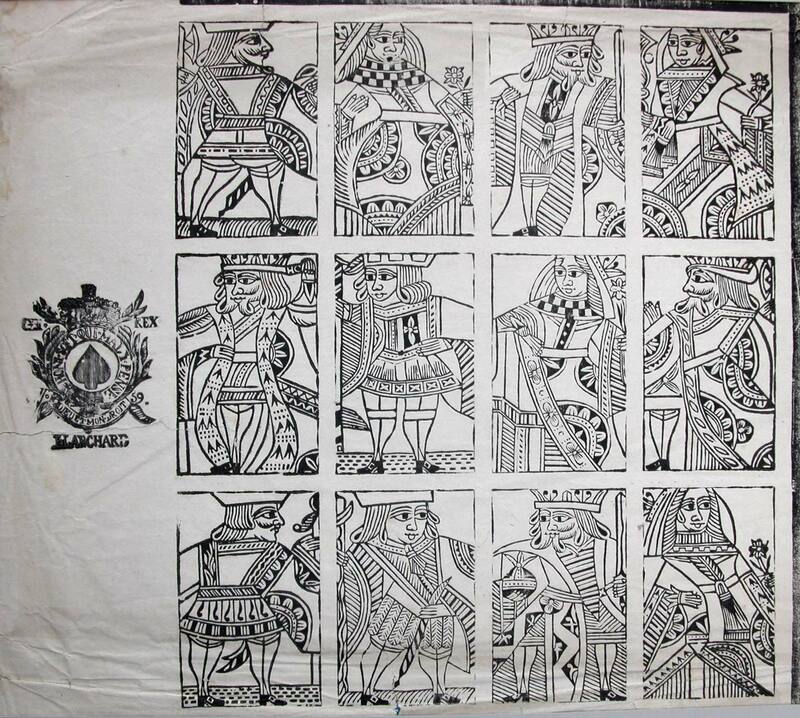 Uncut proof sheet showing a fake “Blanchard” Duty Ace of Spades with court cards based on those of Hall of c.1790-1805, unknown maker, probably Belgian. The cards also look like the Belgian copies made for illegal importation into UK. 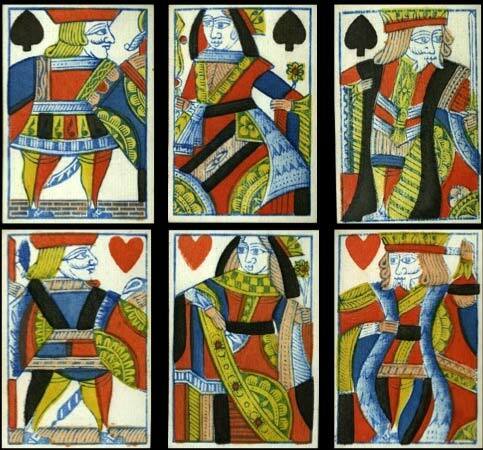 Modern off-prints are also available from the Turnhout Playing Card Museum but without the Ace of Spades. 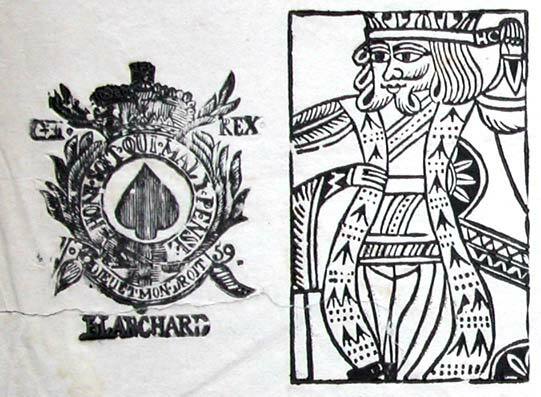 Above: uncut proof sheet showing a fake “Blanchard” Ace of Spades with court cards based on Hall, unknown maker, probably Belgian. Images courtesy Ken Lodge.